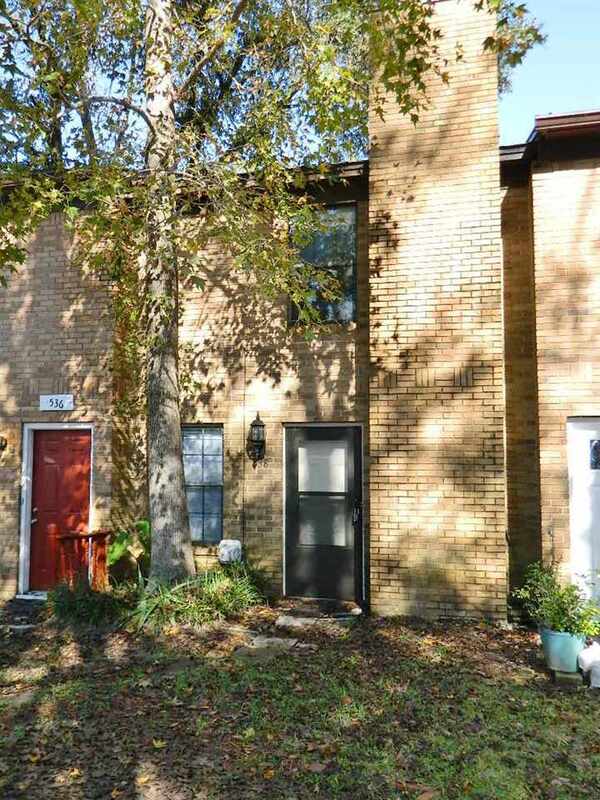 Cute 2/1.5 townhouse available at The Village! Middle unit in cul-de-sac, great location off Park Ave, close to tons of shopping, dining, & bus line. Large living room w/ wood-burning fireplace & half bath. Galley style kitchen with all black appliances & dining area w/ sliding glass doors to back screened porch. Outside storage + W/D hookups, fenced backyard w easy lawn maintenance. Both bedrooms & full bath w/ linen closet upstairs, master bedroom w/ double closets. Tile downstairs & brand new carpet upstairs. Come see today!